Leading the funeral mass, Bratislava Archbishop Stanislav Zvolensky told hundreds of mourners packed into the local Roman Catholic church that "if the murderer thought he was able to silence Jan, he was wrong". Slovak police detained seven people on Thursday in a probe into the murder of an investigative journalist and his girlfriend, chief of police Tibor Gaspar said, Reuters reported. Kuciak had been looking into suspected mafia links among Italian businessmen in eastern Slovakia at the time of his death. 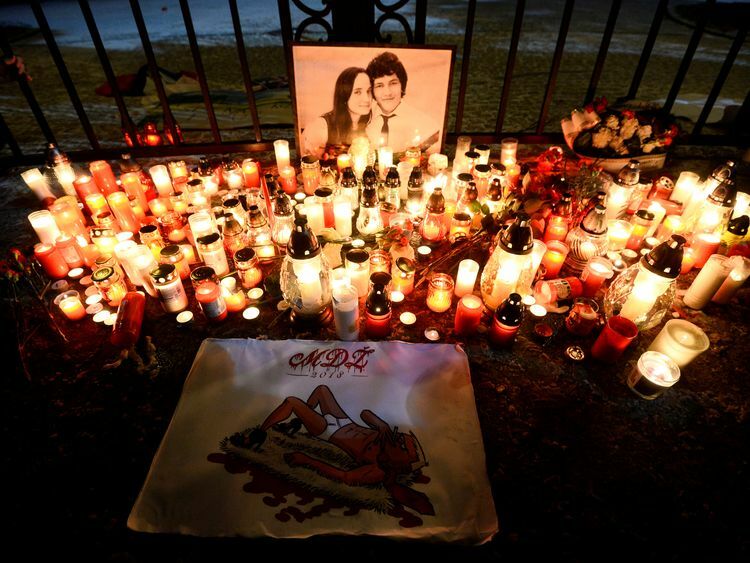 Their murder has raised fresh concern about media freedom and corruption both in Slovakia and Europe. The seven men had been taken into custody on Thursday when police raided houses allegedly linked to members of an Italian crime syndicate. The scandal has engulfed Robert Fico, the populist prime minister and head of the ruling Smer party, who has been criticised despite a brazen public offer of €1 million for information in relation to the murder. The FBI, Britain's Scotland Yard and Europol are helping with Slovak police with the investigation. Also on Friday, the secretary general of Reporters Without Borders called on Mr Fico to apologise for insulting journalists.